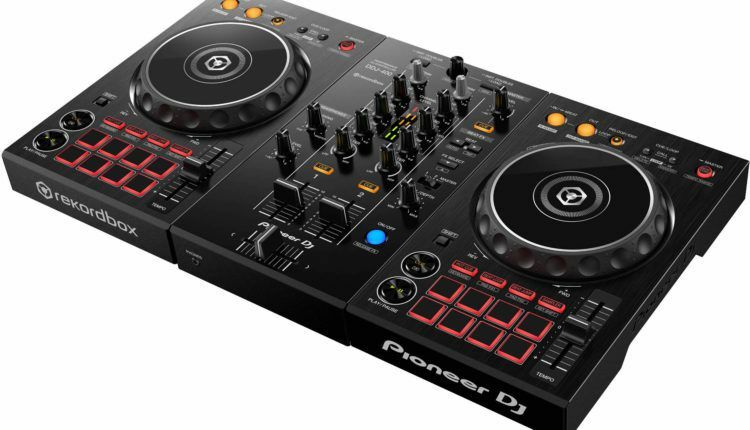 Pioneer DJ’s DDJ-SB3 rules the roost as an affordable 2-channel DJ controller. But is it the be all and end all? Both the Roland DJ-202 (for Serato) and the Pioneer DJ DDJ-400 (for Rekordbox DJ) place different creative possibilities front-and-center for DJs who want to make a big impact on dance floors without putting a big dent in their bank accounts. In this comparative review, DJTT staff writer Markkus Rovito guides budget-minded DJs through their wealth of options under $300. Compact and inexpensive 2-channel DJ controllers serve as most people’s entry point into digital DJing, as well as trusty portable systems for many experienced performers. Among these little companions, one currently stands head and shoulders above the rest. The extremely popular 2-channel, 4-deck Pioneer DDJ-SB3 ($249) for Serato finds that rare ground where a budget-priced all-in-one controller serves high-level DJs’ needs rather than feeling like just a toy. If you’re in the market for a bargain like that, you may think it’s a done deal. However, there’s never a one-size-fits-all all-in-one. 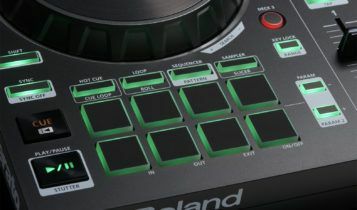 A couple of tempting alternatives bring something new to the tabletop: Roland’s alluring DJ-202 offers MIDI connectivity and a built-in step sequencer with TR-style drum sounds and for syncing to Serato DJ Pro, and the Pioneer DDJ-400 brings an NXS2-inspired layout and advanced playback options to a svelte Rekordbox DJ controller. Let’s see how they stack up against the leader in their space. Among the DDJ-SB3’s many charms is its portability. The 2.3-by-19.1-by-10.7-inch/4.6 pound SB3 is easy to schlep around in a modest-size DJ bag or even some civilian backpacks. The DJ-202, Roland’s little sibling to the mighty DJ-808, weighs about the same as the SB3, and is similar in size but adds more than an inch in vertical length to accommodate its oversize jog wheels. 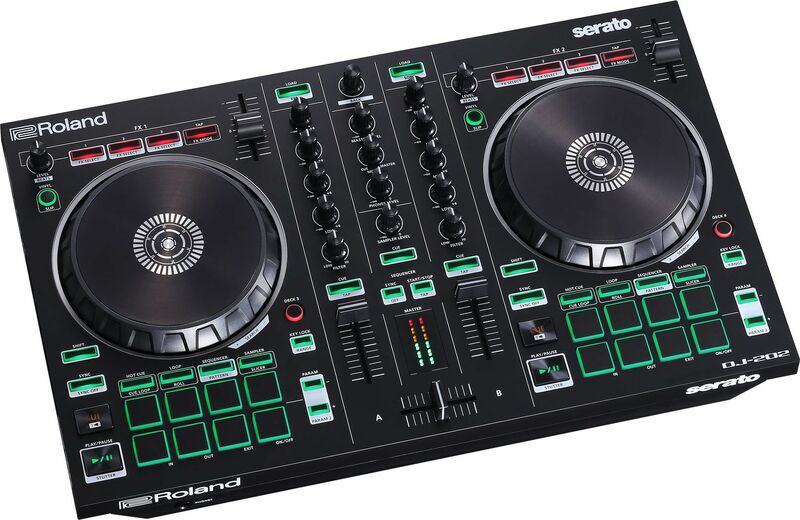 Besides that it follows most of the conventions of a 2-channel, 4-deck Serato controller. 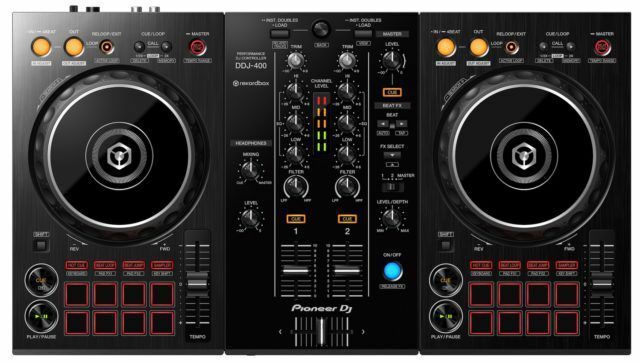 Not surprisingly, Pioneer’s DDJ-400 is almost the exact size and weight as the SB3, but it has a much different layout and only has 2-deck control. 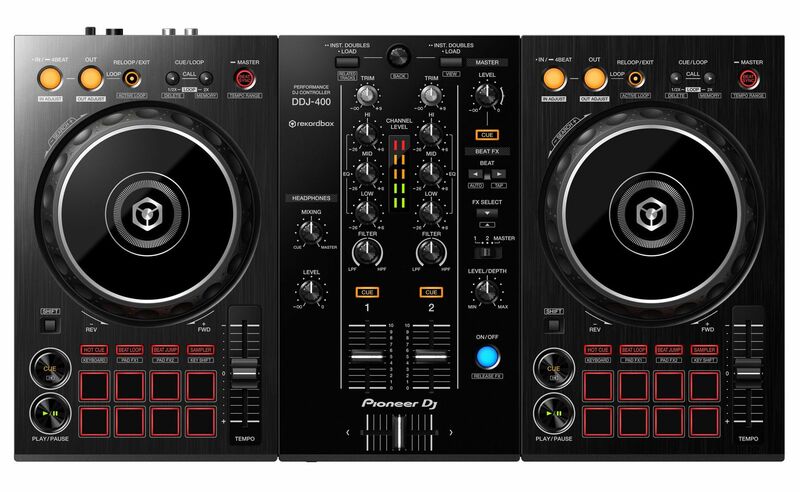 Meant as an affordable way to access Pioneer’s ecosystem, the DDJ-400 has a scheme based on Pioneer’s pro CDJ players and DJM mixers. 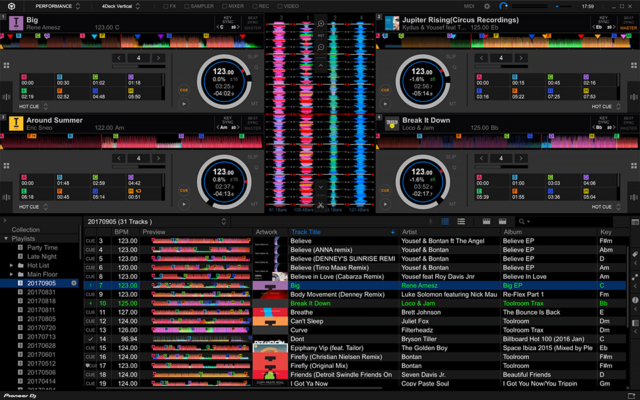 Instead of an effects section at the top of each deck, it has a CDJ-style looping section, memory cue section, and Beat Sync, with the tempo sliders at the bottom. Its mixing section features Instant Doubles loading and a Beat FX section, albeit a much simpler one than on the DJM-900 mixers. Unlike the SB3, both the DJ-202 and DDJ-400 have velocity-sensitive pads due to their beat-recording features discussed below. 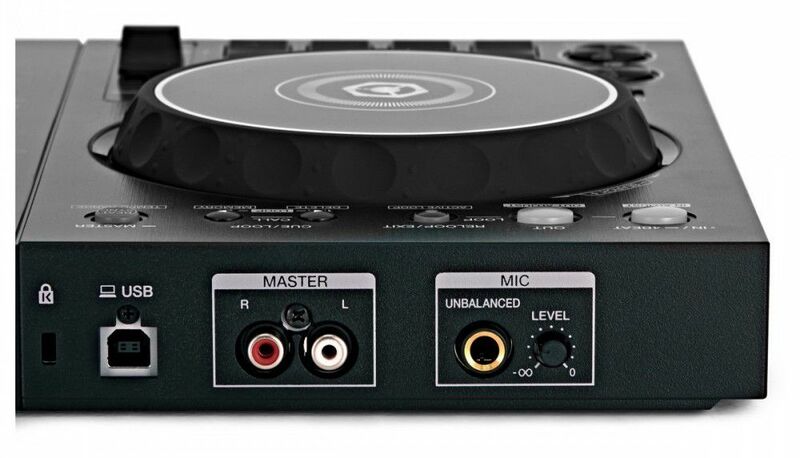 Both controllers’ pads are smaller than on many other Serato controllers. 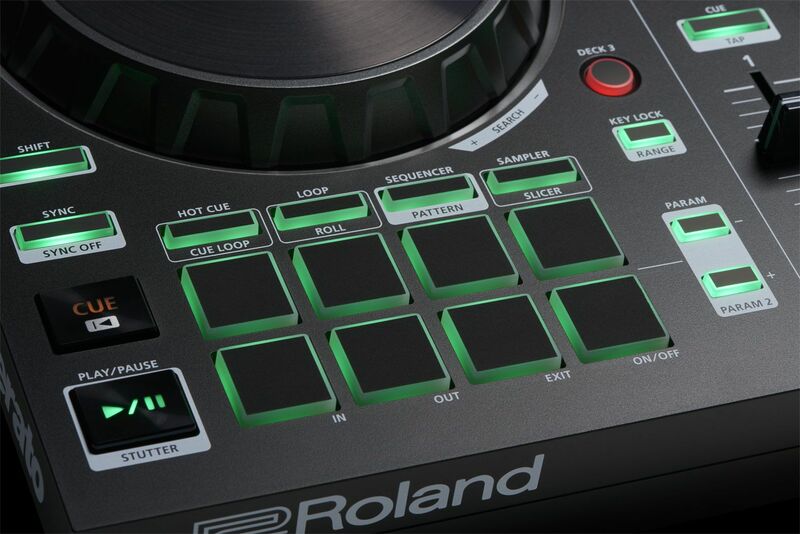 The DDJ-400’s pads are small enough to make playing one of them with two fingers difficult. All three controllers share similar hardware features, like a single RCA stereo master output, a single headphone output, a 1/4-inch mic input, 24-bit audio, and 3-band EQ with additional highpass/lowpass filter knobs per channel. Whereas the DDJ-SB3 comes with Serato DJ Lite, for $50 more, the DJ-202 is still giving its users a full Serato DJ Pro license. That of course means access to many software capabilities that many digital DJs would shudder to go without, such as 8 cue points per track, key analysis, mix recording, more effects, and performance modes such as Slicer, Slip, Beatjump, and advanced looping. You also get the ability to use the Serato Remote iOS app as a wireless add-on controller. With a Serate DJ Pro upgrade costing $129 or $9.99 a month, that’s a great advantage for the DJ-202. 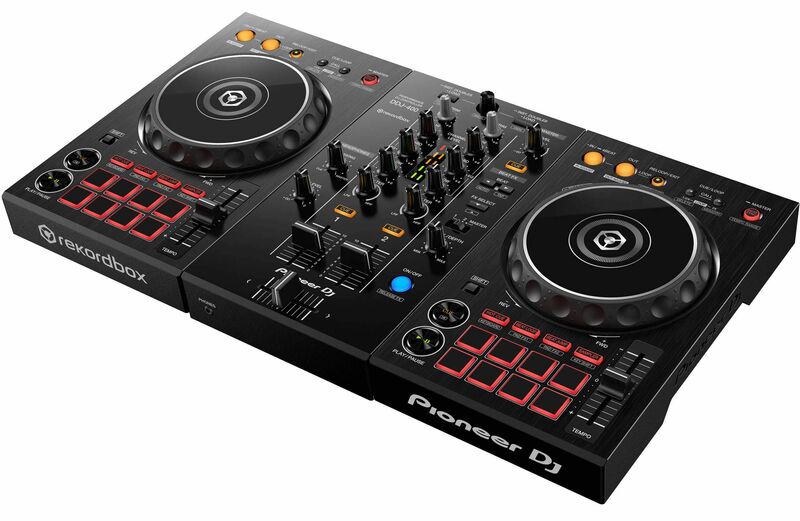 As part of its all-Pioneer package, the DDJ-400 includes a Rekordbox DJ license. So for the same price as the Serato DJ Lite DDJ-SB3, the DDJ-400 gives you Pioneer’s pro-level software. Without getting into a full comparison, Rekordbox DJ is in many ways quite similar to Serato DJ Pro in its look, feel, and features. 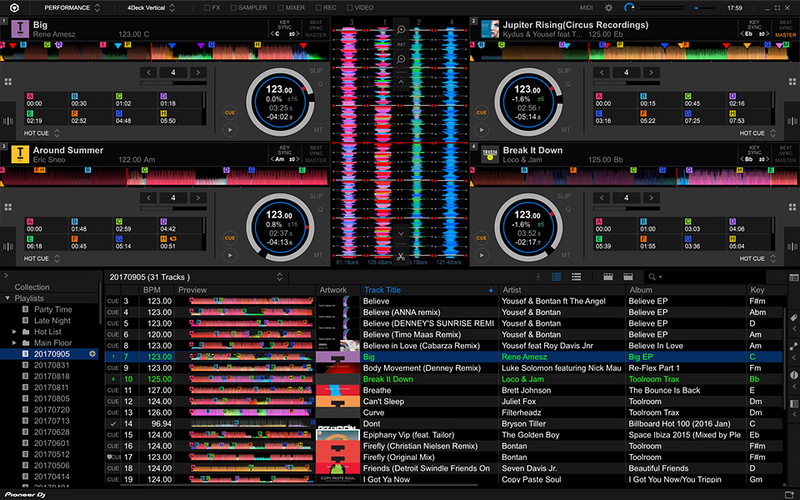 If anything, I prefer Rekordbox DJ because of its more modern, cleaner, and more customizable interface. It has all the high-level capabilities of a 4-deck software, including a flexible GUI, key analysis, recording and uploading of mixes, effects/looping/performance features, and a 64-slot sampler with the recording of sample patterns as a standard function. Rekordbox DJ’s sophisticated browser includes waveform-based audio previewing of tracks, easy playlist management, and a Related Tracks list that can suggest your next track based on tempo and key, mood, era, association, and other factors. It even has a Split Screen view mode for breaking out the expansive browser on a secondary monitor. Rekordbox DJ’s Lighting mode creates automated light shows to your analyzed music for standard DMX512 lighting rigs—although that requires the $350 RB-DMX1 USB interface to use. Most importantly, Rekordbox DJ 5.4 has always performed smoothly and reliably in my usage, and it can export your playlists with all the cue, loop, and metadata to USB drives or SD cards for instant compatibility with Pioneer CDJ players and any other computer using Rekordbox DJ. So you can prep your music and DJ sets at home on the DDJ-400 and take everything you need for a gig in your pocket to plug into club-standard Pioneer gear. 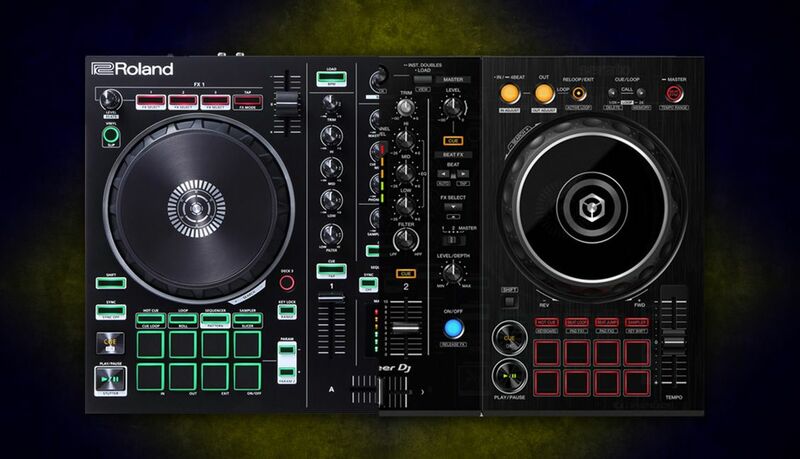 Both the DJ-202 and the DDJ-400 package some performance options that you wouldn’t get with the SB3. As the most affordable and portable member of Roland’s DJ line, the DJ-202 shrinks down the drum machine and sampler sequencing features of the DJ-808 and DJ-505 into a streamlined version. So instead of a dedicated drum sequencing panel, the DJ-202 uses different modes on the 16 performance pads to allow step sequencing or real-time recording of patterns from the onboard TR-909, TR-808, TR-707, and TR-606 sounds, as well as from anything loaded in Serato’s sampler slots. You can create, save, trigger, and chain 16 different patterns, which are syncable to Serato’s master tempo. The process isn’t as intuitive as on Roland’s larger controllers, but the step sequencing does make it easy to create original beats quickly for your sets. For even more creative potential, the DJ-202’s MIDI Out port on the back panel lets you connect external synthesizers, drum machines, or samplers and sync their internal clocks with Serato’s tempo. The DDJ-400’s performance pad modes also wield some cool creative abilities you won’t get with the SB3’s Serato DJ Lite license. Its Sampler pad mode lets you perform and record patterns from Rekordbox DJ’s large 64-slot sampler. The software has 8 pattern memories that can be 1, 2, or 4 bars long. Two pad modes, Keyboard and Key Shift, use Rekordbox DJ’s analyzed key data to playback music at repitched intervals. Keyboard mode plays back saved cue points as if the pads were keys on a synthesizer, ascending in semitone steps. Key Shift adjusts the key of the playing track in real time, again in semitone intervals. These key-based pad effects sound very natural and are great for live remixing. The Beat FX section of the DDJ-400 limits you to controlling one of the software’s effects slots at a time, either on channel 1, channel 2, or the master output. To make up for that, both Pad FX 1 and Pad FX 2 modes offer press/release beat-synced effect combinations on two banks of the performance pads, for a total of 32 effect options. The problem here is not a lack of options or quality, but rather the task of trying to remember which pads will produce which effects. Rekordbox DJ’s dynamically updating interface helps by showing the current pad mode and their values in the display. More often than not, the software for which a particular controller was designed is the program that gives you the best experience for that hardware. But you may want to float around to other DJ software from time to time. 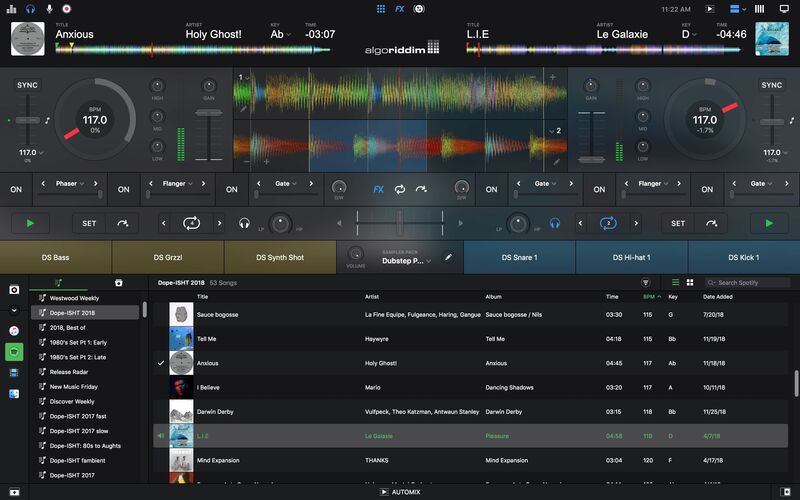 Algoriddim Djay Pro 2 for example integrates mixing tunes from a Spotify Premium account very well. 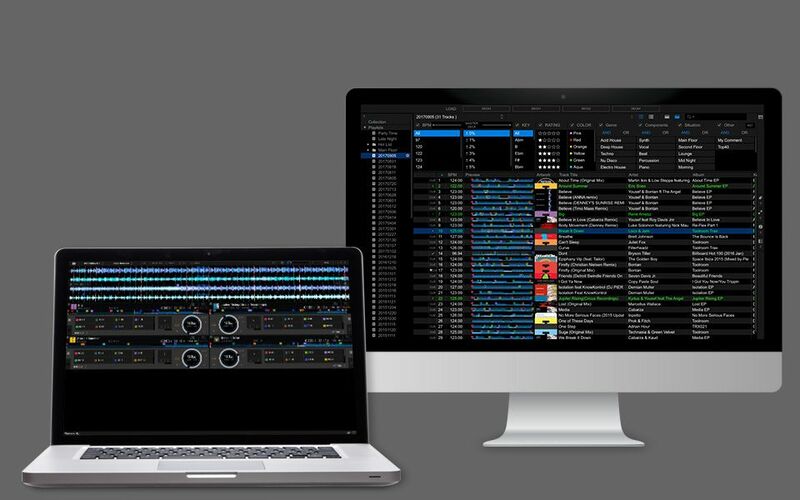 Djay Pro natively supports the SB3 and the DDJ-400 (but not for Windows yet). The Mac Djay Pro 2 mapping for the DDJ-400 works quite well and incorporates most of the hardware’s pad performance modes, but the mapping basically ignores the Beat FX control section. Algoriddim doesn’t yet support the DJ-202 natively, although you’re welcome to try mapping it yourself with the MIDI learn function. Algoriddim Djay Pro 2 gives you full mixing control over streaming music in Spotify Premium. 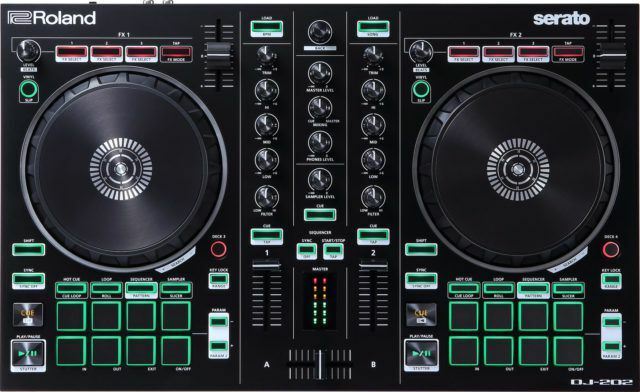 Virtual DJ Pro software has just about every feature under the sun (except for Spotify, and that’s only because they got forced to remove it), and it already has the DJ-202, DDJ-400 and SB3 preconfigured for use. If you’re curious about this software’s myriad abilities, you can use any of these controllers to try them for $19 a month and cancel at any time. DJ TechTools’ MIDI maps area also has Traktor options for both the DJ-202 and DDJ-400. However, none of them are really finished products yet. 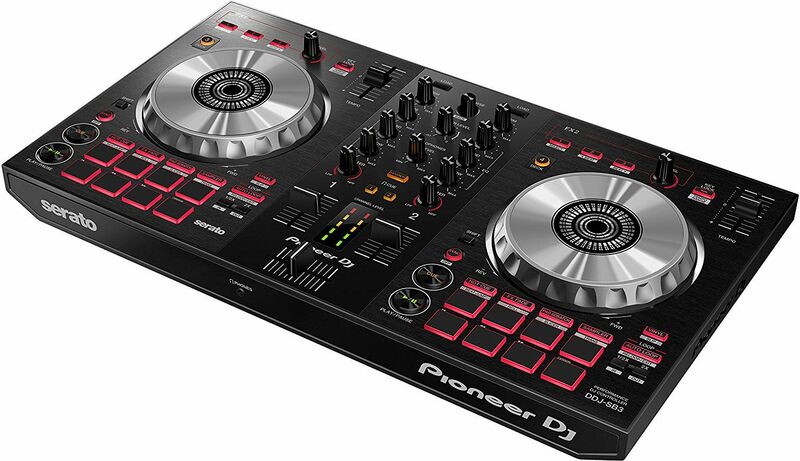 Pioneer’s DDJ-SB3 controller hits the price/performance sweet spot for a lot of DJs and for many good reasons. It is lightweight and small enough to carry around easily and yet is packed with sought-after mixing and performance features in its well-executed layout. Its pad modes emphasize instantly gratifying time- and volume-based effects like Beat Jump, Roll, Slicer, FX Fade, and Pad Trans. If you’re looking for a budget Serato controller fitting that description—especially if you already own a Serato DJ Pro license—you can’t do much better than the SB3. However, both the DJ-202 and DDJ-400 offer extra value over the SB3 for the right DJs. 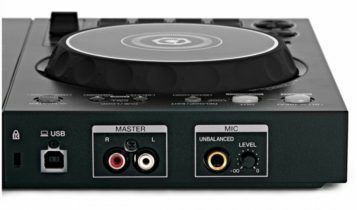 For $299, the DJ-202 is still including a Serato DJ Pro license, which alone is worth the extra $50 over the SB3. The DJ-202’s marquee features of a sync-able drum and sample sequencer and MIDI output appeal to production-minded DJs, and it’s a great all-around budget controller beyond that. It’s visually appealing and makes efficient use of the Shift key to include a wealth of options for controlling effects, loops, the sampler, and performance modes. It has a convenient Cue Loop mode, and the unusual Parameter buttons do things like changing the timing of the Slicer and Roll modes. At times, it feels like it’s not a matter of if, but when Pioneer will fully take over digital DJing with its Rekordbox platform. Even if it doesn’t, DJs are just being practical by getting themselves ready to take their sets to club-standard CDJ players. The $249 DDJ-400 is simply the quickest and easiest way to enter the Rekordbox matrix. Its streamlined hardware is a bit limiting with its small pads and sparse dedicated looping and Beat FX sections, but it also has some novel and creative attractions like pitch-shifting and pattern-recording pad modes. The DDJ-400 comes with the pro-level Rekordbox DJ 5.4 software out of the box. You would have to pay extra for the Rekordbox Video and Lyric Plus Packs, but as it stands now Rekordbox DJ is a mature yet evolving, serious yet fun software that’s worthy of your attention whether or not it acts as a gateway drug to an expensive CDJ habit.